Around 1% of flowering plants are parasites. Some of these parasites can survive without host plants while others cannot. The former are called facultative parasites and the latter obligate parasites. Based on their photosynthetic capability, parasites can be classified as either hemiparasites (those that perform photosynthesis) or holoparasites (those that do not). Compared with normal autotrophic plants, plant parasites have unique physiological and ecological characteristics, as well as unique evolutionary histories. Many holoparasites exhibit special morphologies. For example, the root parasites Orobanche spp. (broomrapes) have no leaves and lack chlorophyll. Although the morphology of parasitic plants varies, they all use a special organ, the haustorium, to attach to hosts, penetrate host tissues, and extract water and nutrients. Cuscuta spp. (dodder) is a plant parasite that connects to the vasculature of host plants to extract water, nutrients, and even macromolecules. It is the only parasitic plant in the family Convolvulaceae, and is closely related to the morning glory and sweet potato. Dodders are leafless and rootless throughout their lifecycle, totally depending on host plants to survive. Whether hosts and dodders have any exchange of signaling molecules was previously unknown. Like other parasites, it is generally believed that dodders are harmful to hosts. 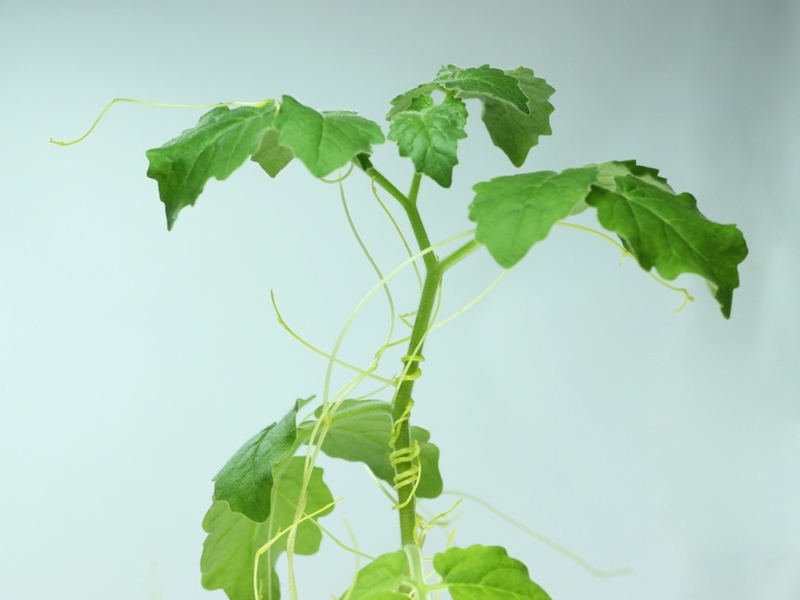 A research team led by Prof. WU Jianqiang, a scientist at the Kunming Institute of Botany of the Chinese Academy of Sciences (KIB/CAS) and the Max Planck Institute for Chemical Ecology in Germany, discovered that when a host plant is attacked by insects, dodders can transmit signals to other dodder-connected hosts, which then activate defense responses. As a result of the induced defense responses in these dodder-connected host plants, insects grew smaller than on hosts whose dodder-connected neighboring plants were not attacked by insects. Importantly, the researchers also revealed that mobile signals transmitted by dodders are ancient and well conserved. 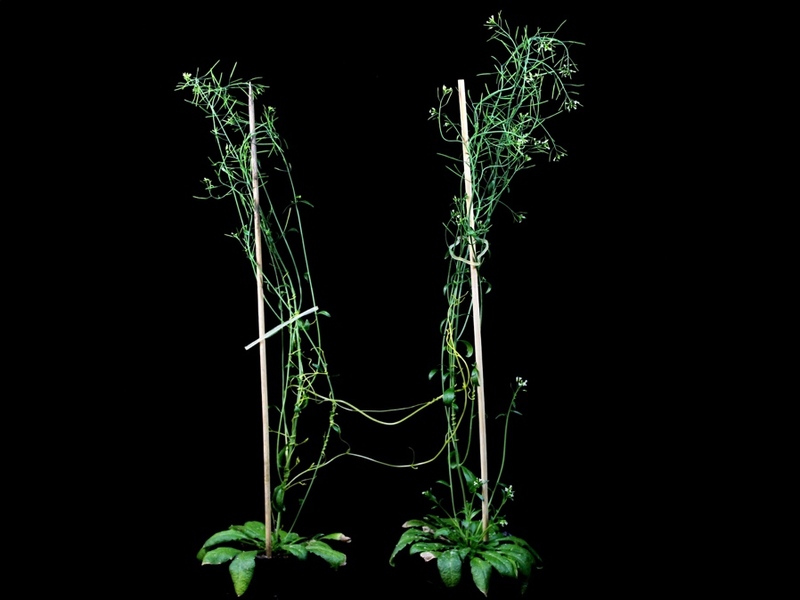 Jasmonic acid (a plant hormone) plays an important role in generating these signals; such signals are produced very rapidly and can travel through a dodder network at least one meter long. This is the first time that dodders have been found to transmit inter-plant signaling. This discovery shows that, in addition to damaging hosts, dodders also transmit ecologically meaningful information among host plants. This research has been published in PNAS online in an article entitled "Stem parasitic plant Cuscuta australis (dodder) transfers herbivory-induced signals among plants". 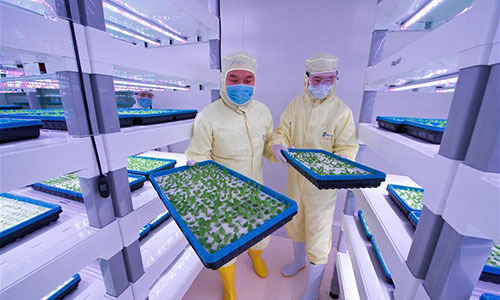 This work was primarily supported by the Strategic Priority Research Program of the Chinese Academy of Sciences, the Max Planck Partner Group Program, and the National Natural Science Foundation of China.